Wow, I can't believe November is already half-way gone. Sorry for not checking in sooner! Between teaching and dealing with the increased amount of orders coming in for my dollshop I have been staying pretty busy. Looks like folks are finally getting their Christmas shopping done. 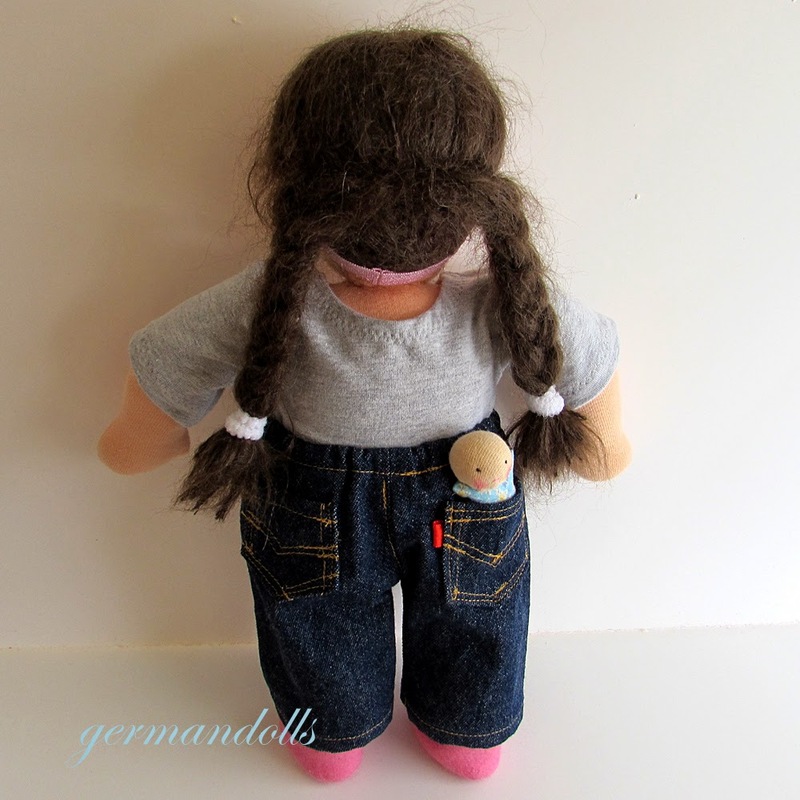 Since I needed some new blue jeans, my little mini-me Ulladoll, asked for a new pair for herself. She said my regular model was boring and needed some pockets, at a minimum. I can totally understand. I really don't like carrying purses at all. Sometimes I wonder if I was meant to be boy? I am not a fan of make-up. I have never owned a pair of high-heeled shoes. And if I ever do carry a purse around, I promptly leave it behind...Pants need pockets! Does it matter to you what brand of jeans you wear? Do your kids insist on certain products? 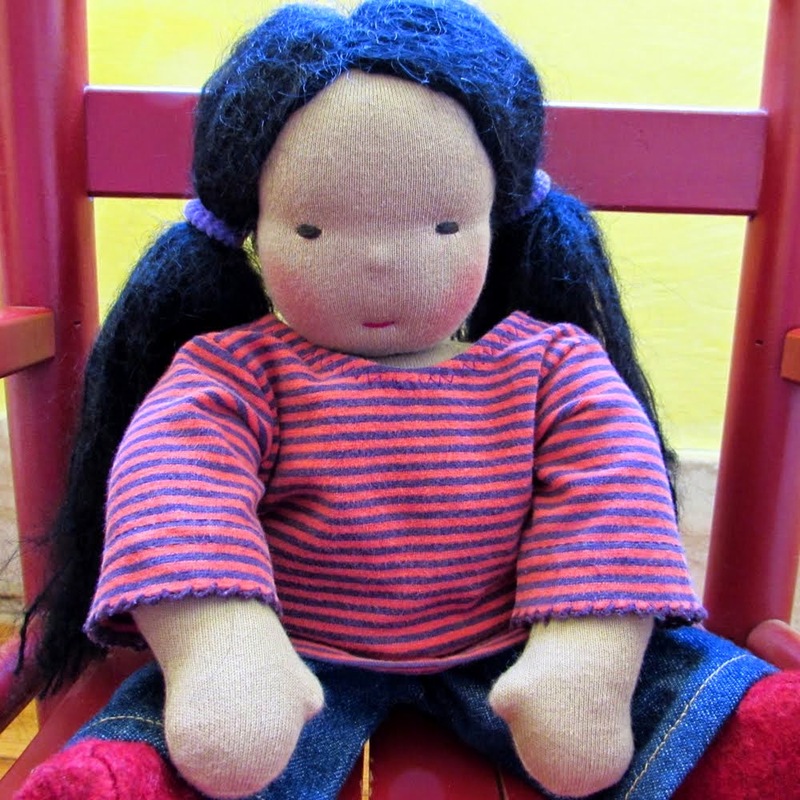 American brand blue jeans have been the bane of my childhood. I guess it really doesn't matter what country you live in and what time. If you didn't have those brand products when you were not a cool kid. My folks never had the money. So if I wanted any kind of brand item I had to work hard to buy it with my own money. What do the cool kids wear now - I wonder? So here is the new blue jean design I came up with. It has two cute little pockets. 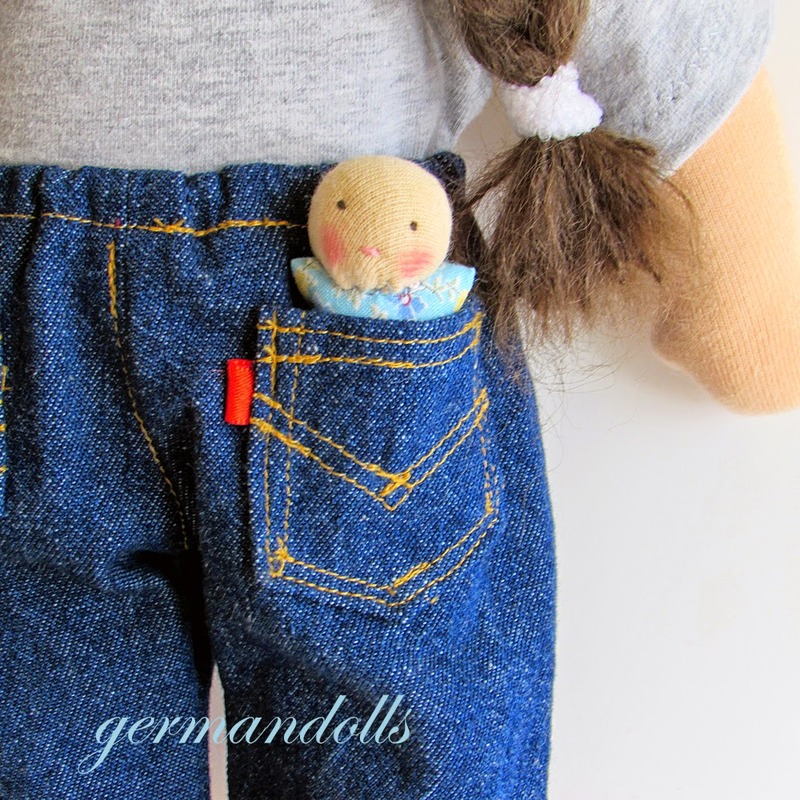 Of course, where there is a pocket there must be germandolls miniature pocket doll. 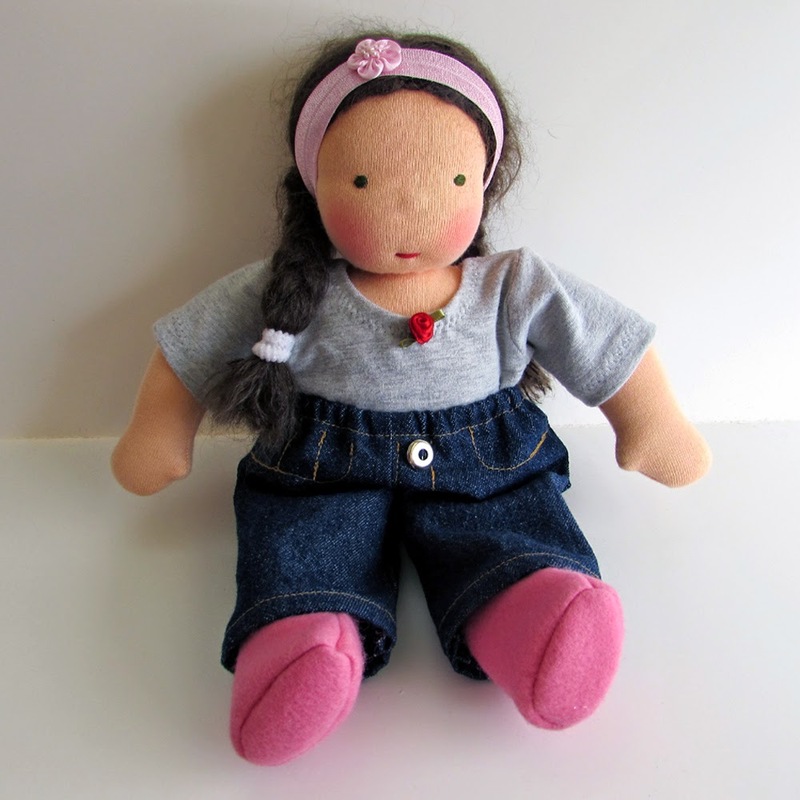 This is the tiniest sweetest little one I ever made. Nearly broke my fingers when sewing that little head on. Not sure I can sell that design in my Etsyshop. Maybe minus the little red label? No, it does not say Levi's on that label. It is just a plain piece of ribbon. It was a real pain in the neck to put on, but little Ulla being a brand-hog insisted. LOL.